This post is the third in a new series reflecting on Christian signs, symbols, and similar (Ichthus; Chi Rho). I have not been able to find a very early occurrence of “IHS”. There are some (online) who claim that it is to be found in the catacombs, but I have yet to locate a safe affirmation of that. The most common interpretation is that IHS (or its alternate IHC) is a christogram, based on the first three capital letters of the name of Jesus in Greek, ΙΗΣΟΥΣ (this is semi-Latinised to IHSOVS). Using C for Σ began in the 4th Century BC, becoming standard in late antiquity and the Middle Ages. Hence IHC from ΙΗϹΟΥϹ. Jesus Hierosolymae Salvator – Jesus, the Saviour of Jerusalem (Hierosolyma). In Hoc Signo (In hoc signo vinces) “in this sign you will conquer”, a reference to Constantine’s vision. Iesus Hominem Salvator was the one I grew up with, having been under the impression this originated in the Middle Ages; but again I know of no evidence for this. 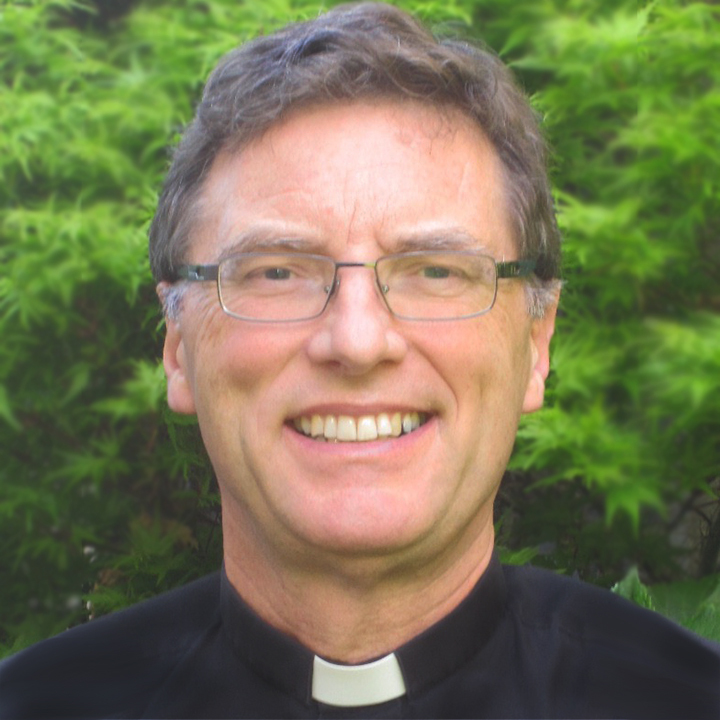 From what I’ve been reading in preparation for this post, Gerry, it appears the original meaning was lost and alternatives developed in the Middle Ages, with a growing devotion to the name of Jesus (Bernard, John Colombini , Bernardine of Siena, Ignatius Loyola). Blessings. Thanks, Helen. Great photo. Blessings. 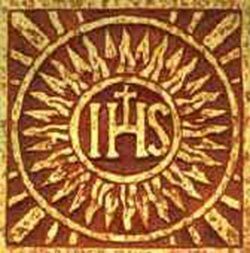 My remembrance of the IHS Christogram story is St Bernadino of Siena was charged and acquitted for heresy in the early 15 th century for designing and using IHS symbols. I have seen stone carvings of IHS ( looking more like tHS or JHS ) in UK church stonecarvings and gravestones, churches dating to the thirteen and fourteen hundreds I’d guess. Don’t know of any Roman catacomb illustrations with the inscription, the stone carvings could have been done any time later, the tombs fell into disuse in the Dark Ages and weren’t explored until the Renaissance. The famous illustration of Saint Bernadino by El Greco of Spain, with his sun-IHS-staff, is from 1604. Saint Bernardino of Siena was a ferocious bigot and is a good example of how what is applauded as saintly in one era is seen as unacceptable or cruel and intolerant in another. He would have labelled me a witch, so I feel no apology is necessary for me calling him a bigot! Yes, Tracy, as I mentioned, Bernardine of Siena certainly features in the research I did preparing for this post. Ferocious bigotry didn’t die out with the Middle Ages, sadly. Blessings. Let me weigh in to confirm the “common interpretation,” Bosco. IHS/IHC is just a semi-Greek abbreviation for the name Jesus. Abbreviations for the “nomina sacra” are plentiful in medieval manuscripts, initially because they occur frequently and this saves scribal wrist-ache, and later because it seemed reverent to avoid writing out the whole word (like some of my Jewish friends who spell it “G-d” in their e-mails). The appearance of this abbreviation in church furnishings is very much connected with the late medieval cult of the Name of Jesus (it is especially found in connection with side altars dedicated to that devotion). When I was a kid, our United Church of Canada congregation’s central pulpit had IHS carved on it. As soon as I learned a little Latin, I came up with the “In hoc signo” backronym explanation all by myself! Totally erroneous, but lots of fun. Patriarchy is a stench but I think there are many places now where people can and will stand apart from it, fragrance their world with reason or compassion!